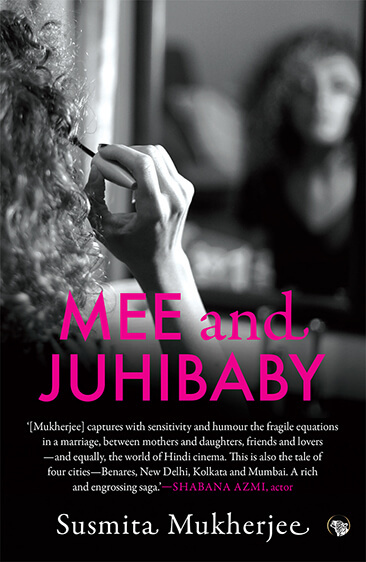 MEE AND JUHIBABY BY SUSMITA MUKHERJEE. Mee’s mother, Juhibaby, is the unwanted child of constantly travelling jatra artistes in rural Bengal. Growing into a ravishing sixteen-year-old, she is married off to a family in distant New Delhi, where Mee is born. Mee’s life is a far cry from Juhibaby’s, as she grows up in a respectable middle-class family and goes to an upmarket convent school. But what she inherits from her mother is a love of acting. She follows her star to Mumbai, where she becomes a successful Bollywood actress. But a failed marriage and a bruising rejection by a movie mogul derails her into a world of alcohol, promiscuity and obesity. As she struggles to make a living as a TV writer, Mee gets to know that the mother from whom she has long been estranged is now blind and ailing, in an old age home. Mee rescues her, and mother and daughter find it in their hearts to forgive each other and forge a sort of bond before Juhibaby’s days come to an end. In this accomplished debut novel, Susmita Mukherjee gives her characters a startling reality in prose that is vivid, compelling and immensely readable. Susmita Mukherjee is an actor. 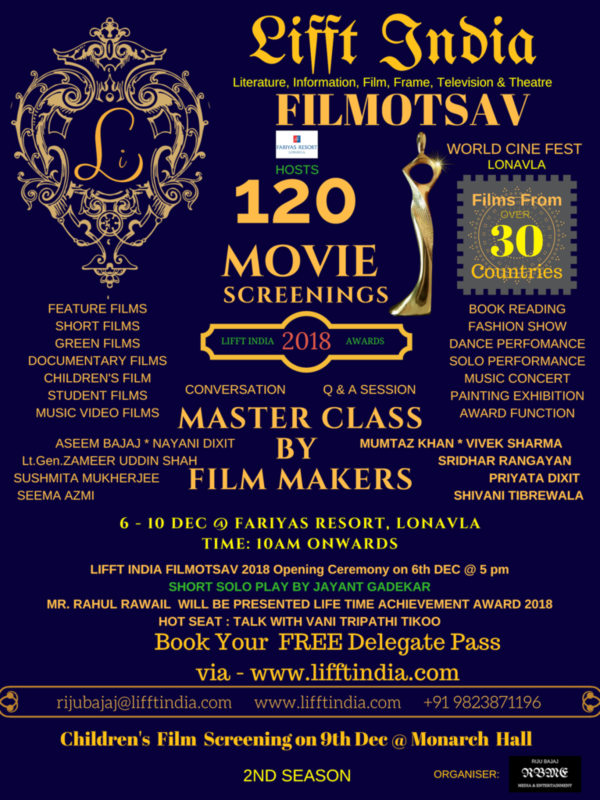 A graduate of the National School of Drama, she has done pioneering work in her thirty-five-year-long career in theatre, films and television. She founded the Natak theatre company in 1988 and her script, Nati, has played to full houses at Prithvi Theatre in Mumbai and elsewhere. She has acted in over 100 films. Her most recent, Sold, deals with child trafficking. It was directed by Oscar-winning director Jeffery Brown, and released in the US in 2016. Susmita has also written several short stories, and is working on her second novel. AVOID THE VOID BY SHIVANI TIBREWAL “Avoid the Void” is a tragicomic tirade that depicts a woman lamenting a broken relationship even as she gradually comes into her own. Written by Shivani Tibrewala in 2008, she first directed and produced it in 2010 for the Leela South Asian Women’s Theatre Festival at the NCPA in 2010, starring Mona Ambegaonkar and Ahlam Khan. It was also produced and performed by Sutradhar, Hyderabad. It has also been published in Muse India and in a Croatian Anthology of Women Writers from India titled “Afternoon Showers.” Shivani Tibrewala is a writer-director based in Mumbai, India. 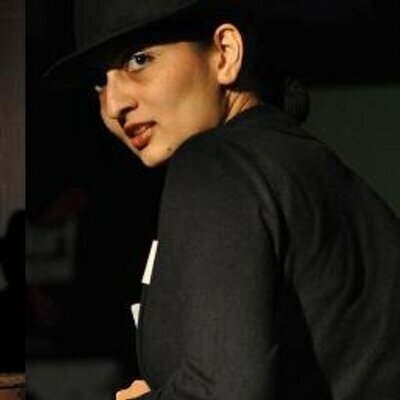 She founded her own theatre company, No License Yet Productions, in Mumbai, India in 2002. She has written, directed and produced several plays for the theatre, including Whatever You Say, Helpdesk, The Laboratory, Staying Alive, and Avoid the Void. She has adapted and directed classic texts ranging from the Ramayana to Rumi, Hemingway to Calvino in her works Retellings and The Old Man and the Sea : A Sufi fable and Raccontini. Plays she has written but not directed include The Last Supper, Waiting for Nothing, ABC with Dad, among others. Her plays have been performed and presented all over India as well as abroad in Croatia, Germany, USA and Canada, and she is an empanelled artist with the Indian Council of Cultural Relations. She has collaborated in the past with Theatre Royal Plymouth (UK), Flinntheater (Germany), Moving Image Factory (Canada), etc. Festivals her plays have been invited to include Leela South Asian Women’s Theatre Festival, Prithvi Theatre Festival, Kala Ghoda Arts Festival, Vikram Sarabhai Arts Festival, IIT Mumbai’s Mood Indigo, Thespo, etc. A volume of her plays has been published by Writers Workshop, Kolkata. Her work has also been published in a Croatian anthology of women writers from India. She has also written feature films and documentary films, as well as for various television series. 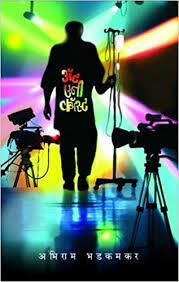 She was also the first poet from India to be invited for the Indian Ocean Poetry Slam held annually at Reunion Island. AT ANY COST BY ABHIRAM BHADKAMKAR; The book tells the story of Dhananjay a simple boy from a small village in Maharashtra, who is suffering from brain tumor and might not live more than a year. Vikas Sardeshmukh, a TV serial director wants to help him with his financial issues but also wants to revoke his failing career. So he decides to make a TV soap out of Dhananjay’s death. The story is then a gripping tail of how ‘Dhana”, his entire family and the village gets entangled in the process of completing the serial. There is also the addition of TV actors and artistes from Mumbai become an intrinsic part of the entire gamble. Abhiram Bhadkamkar is a renowed Marathi film writer, actor and director since last two decades. His work in all the aspects of art like theatre, movies, serials in both Hindi and Marathi is exemplary. 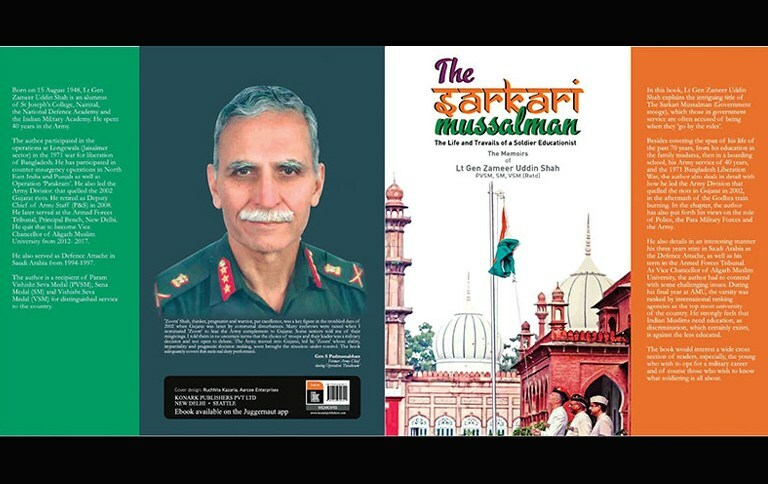 And he has come up with this amazing book on the dark side of India TV serials/daily soaps.The story of channels, the production houses, the mediocre writers/actors/directors and how today only business controls the creativity.